E2S Warning Signals will be exhibiting on Stand 3E181 at Offshore Europe, 8 – 11 September in Aberdeen UK. 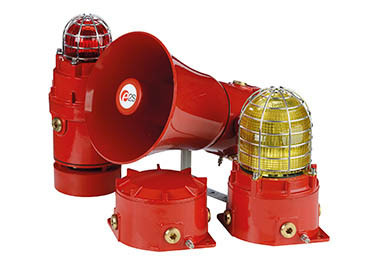 As the independent manufacturer of audible and visual warning signals, E2S will be showcasing the latest developments in their extensive range of explosion proof, hazardous location and intrinsically safe warning devices for the onshore and offshore oil and gas industry. E2S will also be at Oil and Gas Indonesia, 9 – 12 September in Jakarta, where personnel from E2S UK and local distribution partner, PT. Wahana Adireksa Pratama, will be manning Stand D-8830. A preview of the new premium ‘STEx’ stainless steel enclosure warning signal range will be presented at both exhibitions.